The market may not be thrilled by the May jobs report. Stocks were flat Friday and bond yields spiked. The reason? Traders are betting that the better-than-expected job gains make it more likely that the Federal Reserve will raise interest rates in September. But you should pay no attention to the Gloomy Guses and Negative Nancies on Wall Street. Michael Arone, chief investment strategist for State Street Global Advisors, said the market will remain volatile as Wall Street tries to figure out what every new piece of economic data means for the Fed. 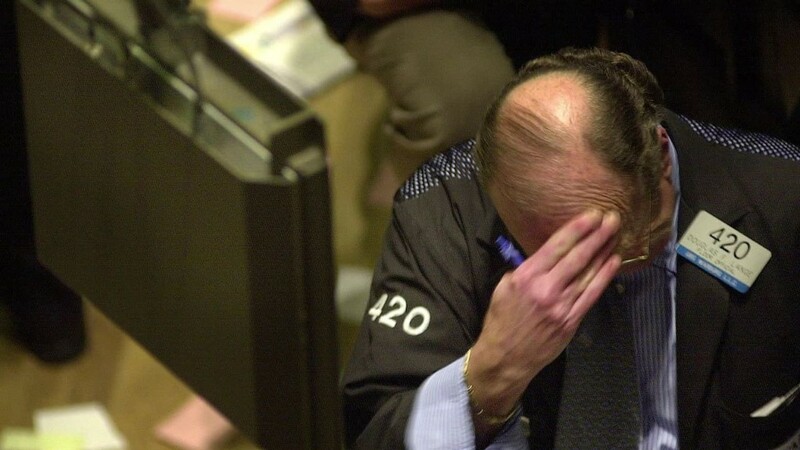 He said average investors shouldn't succumb to short-term thinking. Here are four reasons why the jobs report is good news for you as a consumer -- and long-term investor. 1. Wage gains picking up. Average hourly earnings rose 2.3% over the past 12 months. That's the highest rate of growth since August 2013. It is still well below the nearly 4% increase in wages that workers were getting in June 2007 -- just a few months before the start of the Great Recession. Fed chair Janet Yellen has said numerous times that she wants to see wage gains of 3.5%. But the trend is going in the right direction. And that's encouraging. One of the biggest knocks on the economy this year is that consumers haven't been spending. Retail sales have been sluggish. Higher wages should lead to more spending, and that would lift sales and profits for many U.S. companies -- even if companies have to pay more to attract talent. That's great for the long-term health of the stock market. "The increase in wage growth should show consumers that there's money there to spend," said Jeffrey Carbone, co-founder of Cornerstone Financial Partners. 2. Strength across the board. There were healthy gains in jobs at higher-paying industries like professional and business services (which include many lucrative tech jobs) and financial services. Construction jobs continued to edge higher -- another sign that the housing recovery is for real. And automotive dealers reported a solid increase in jobs -- which makes sense given the strong sales from GM (GM), Ford (F) and Fiat Chrysler (FCAU). Only one major sector reported a decline in jobs last month. Energy. It's not a huge surprise given that many oil companies -- including Baker Hughes, Halliburton and Schlumberger -- have announced layoffs as the oil price plunge that began last summer extended into the early part of 2015. But the trend of job cuts in energy may soon end now that oil prices have stabilized. 3. Banks may lend more if the Fed raises rates. Even though the broader market was lower Friday, bank stocks were winners. Shares of Bank of America (BAC), Citigroup (C), JPMorgan Chase (JPM) and Wells Fargo (WFC) were all up more than 1%. Higher interest rates make it more profitable for banks to lend more money, which should mean that they will lend more money to consumers and small businesses. That should boost economic growth. "Banks have a lot of room to lend. The further we get into a recovery, the more credit should be available for consumers," said Brent Schutte, senior investment strategist for BMO Global Asset Management. Yes, it also means that it's more expensive for consumers to get auto loans and mortgages. And you may have missed the last great chance to refinance your home. The yield on the 10-Year Treasury rate is hovering around 2.41%, the highest level of the year. But rates are still relatively low. This benchmark bond yield was above 3% as recently as January 2014. 4. Winter is no longer coming. After another dismal first quarter for the economy, many were worried that the recovery was losing steam. Heck, even the IMF suggested that the Fed should hold off on a rate hike until 2016 due to worries about weak growth. 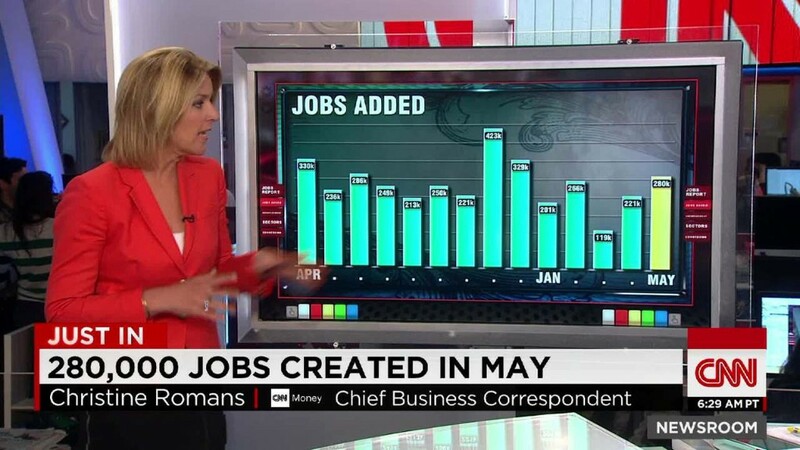 But the addition of 280,000 jobs in May -- following 221,000 in April -- suggest that the first quarter economic decline may have (once again) simply been due to lousy winter weather. That's a very good sign. Of course, there are still many things investors need to to focus on beyond the Fed as well: The strong dollar hurting profits. The situation in Greece. Slowing growth in China. However, it looks like a collapse of the U.S. economy is no longer a legitimate worry. "It's fair to say that the first quarter weakness was transitory," said John Canally, chief economic strategist for LPL Financial. "The economy and labor market are back on track for the second quarter."